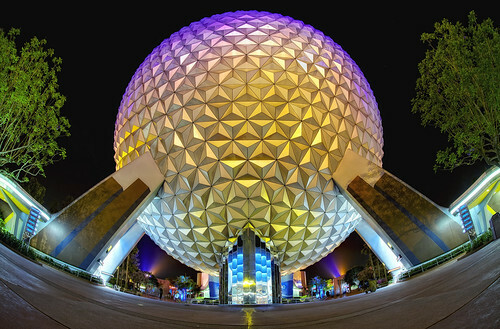 Just had to finish out the week of "EPCOT Through a Fisheye" with a shot of Spaceship Earth. I think this might be a re-edit of a shot I've already posted either here or on the blog, but oh well. It's grand. It's miraculous. And it's beautiful. This has been a fun week. And I think I'll be heading out west for next week's theme. Thanks for lookin', and have a great day!